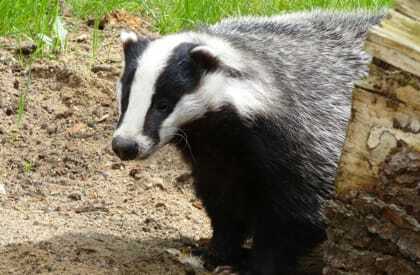 Badgers live underground in a network of tunnels and chambers called a ‘sett’. Badger setts vary from single-entrance occasionally used “outliers” to complex main setts with multiple entrances. Whilst a widespread and common species in Britain, badgers and their setts are protected under the Protection of Badgers Act (1992). 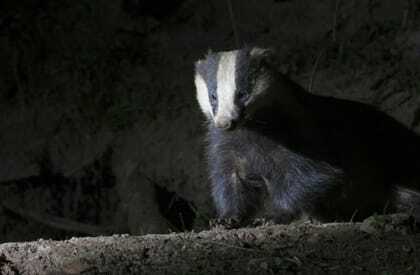 This means that badgers are a consideration when planning and designing developments. They may also cause damage to property by undermining when excavating their setts. We include a survey of badger setts and signs in our Preliminary Ecological Appraisal, which is often sufficient to make an impact assessment on badgers. Occasionally, it is necessary to carry out further surveys to determine levels and patterns of sett use and determine the extent of badger territories. 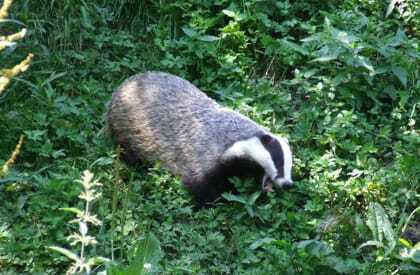 Further survey to determine the use of setts by badgers can include fixing sticks at sett entrances to see if they are moved by badgers and monitoring by nocturnal observation and using trail cameras. Bait-marking surveys involve feeding the badgers bait containing harmless coloured plastic beads and mapping out their territories by finding the beads in their dung latrines. Where main setts have to be destroyed, either to facilitate development or to prevent damage to property, a replacement artificial sett is usually required. We are experienced in sett exclusion, destruction and live digging of setts under licence and have designed and built replacement badger setts.